1. Place the lettuces on the plate, add the green and red bell peppers, carrot, and tomato. Fry the tortilla strips/triangles in enough oil until golden, drain excess oil on a paper towel. Mix the parsley, garlic, basil, and oregano and sprinkle over the chips. Serve the salad with the chips, and dressing of your choice. 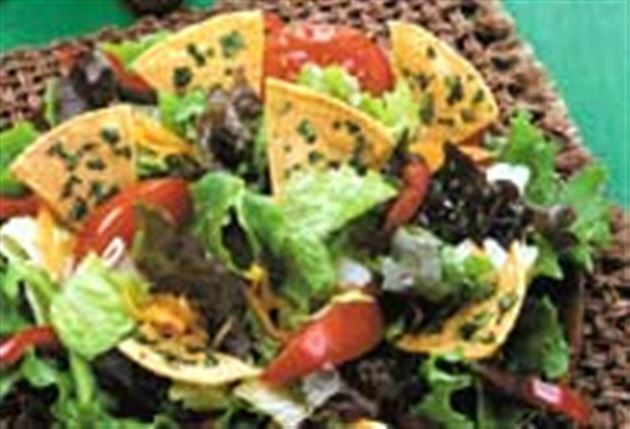 Enjoy this delicious Green salad Mexican recipe!